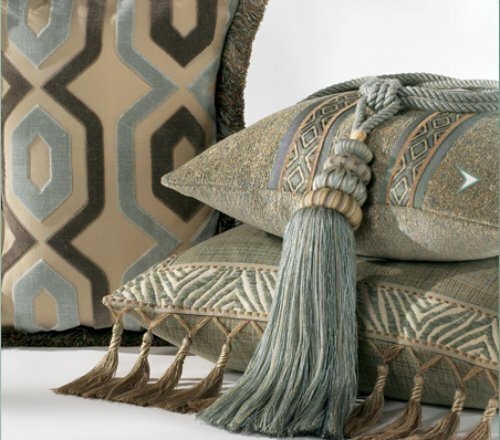 We all know one of the easiest ways to update a room is with new throw pillows but when you add embellishment to those pillows, well it can take them to a level of WOW! 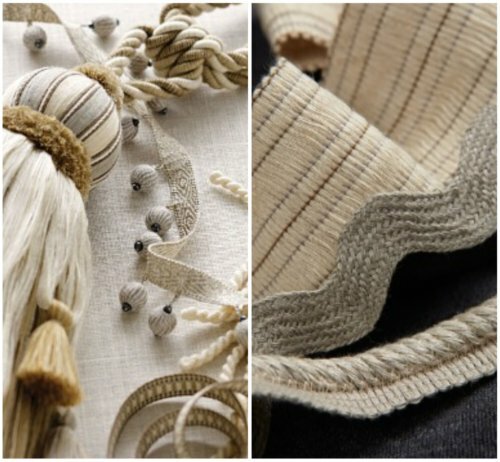 Whether it is a simple loop fringe, an over sized tassel or a contrasting rope welt it will add that custom feel to a space. There's no need to replace your sofa when you can just add striking pillows like the ones above! I love all types of trim! The "bobble fringe"on the left is one of my favorites. The silver/oyster version would add glam to any room! 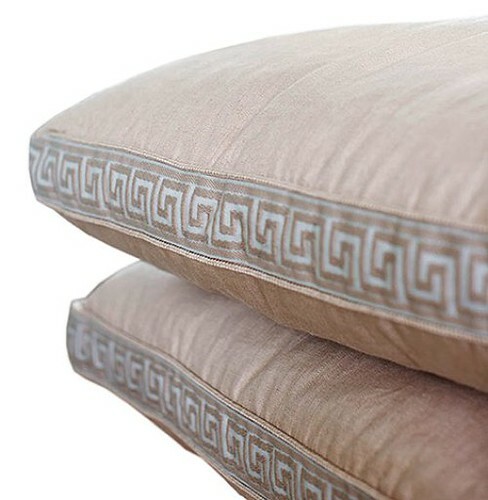 Have you used trims on your own pillows? It's no just for the living room try a bit of fringe on your bedroom pillows too....it might just spice up your bed! I always tell people that I can make over a room with a throw, a few pillows and some books! They all make such a difference! 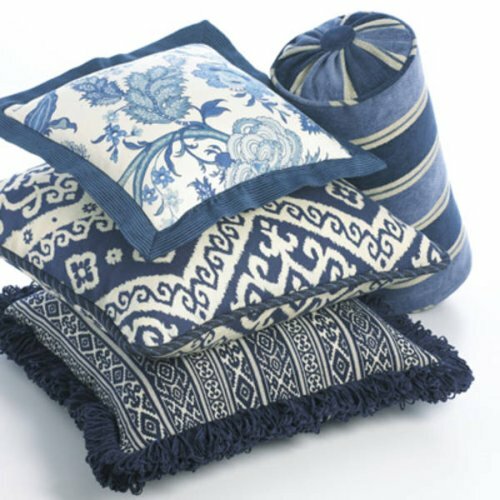 I'm actually looking for some great throw pillows at the moment! Those throw pillows look great! I am a big lover of trim on the box edge!